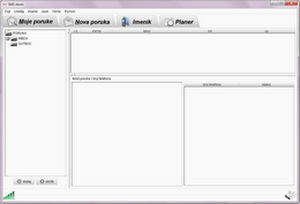 SMS Storm is PC application that allows the use of (send and receive) SMS messages from a desktop computer. The application uses standard GSM protocol over one of the HCP modems. The application supports all standard GMS networks providers and SIM cards. It’s most interesting for users who want to use the option of SMS advertising without using expensive SMS services and subscriptions.